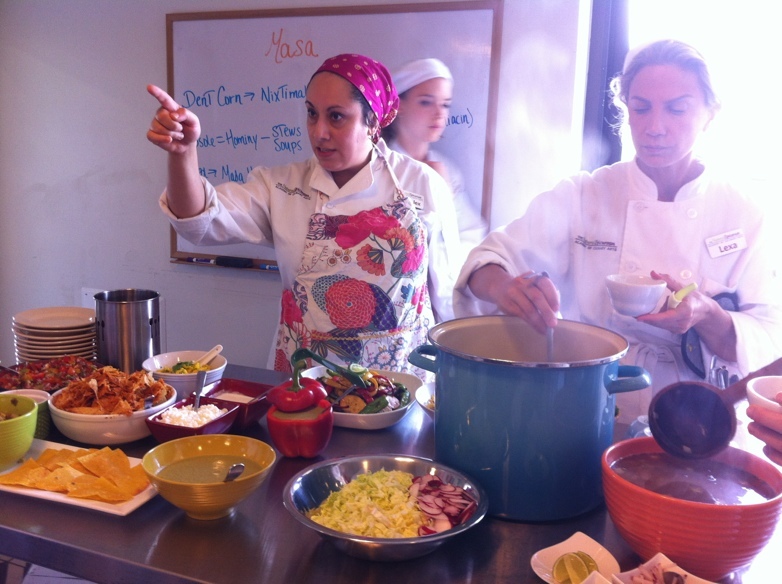 Being located in Central Texas, we couldn’t get away without a class on masa, a classic Mexican blend of cornmeal, water, and usually some kind of fat. Masa has a number of applications: tortillas, sopes, and tamales are popular ones. I just love the flavor of corn and it’s a great grain to use in the summertime. It’s sweet, light, and fresh tasting. No wonder it has been popular in Latin America for thousands of years (1). 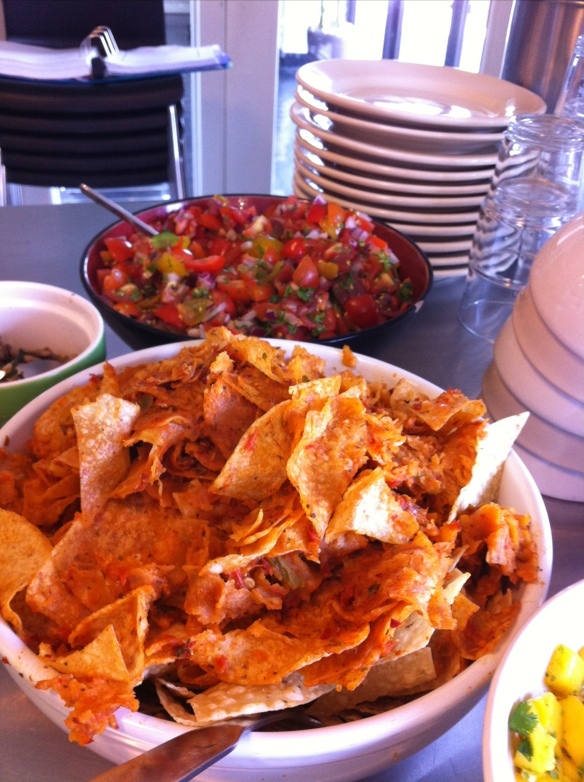 Below: Spicy chilaquiles – a traditional Mexican dish of tortillas, tomato-based sauce, and spices. Below: One of my favorites, a posole soup (at bottom). 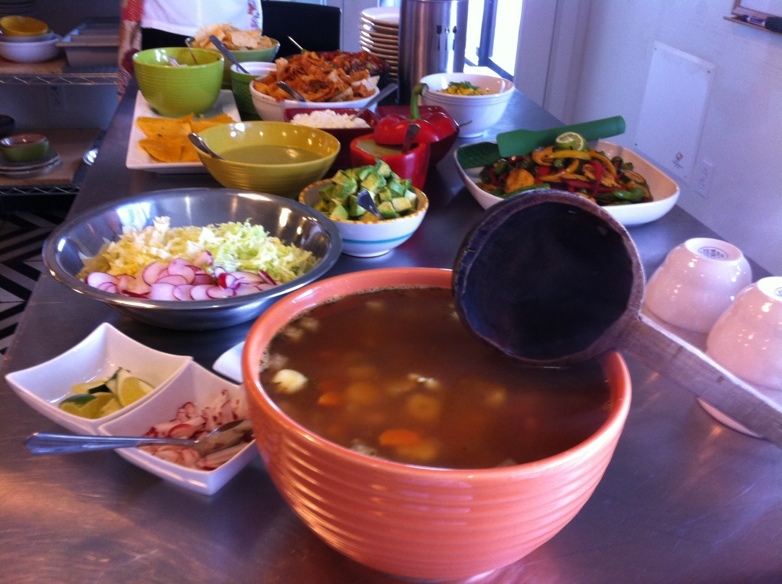 Posole is made from a large whole variety of corn and is usually cooked with a meat-based broth. We, of course, used onion, cumin, oregano, cilantro, lime and others to create a deliciously savory soup to go along with the starchy, yummy posole. 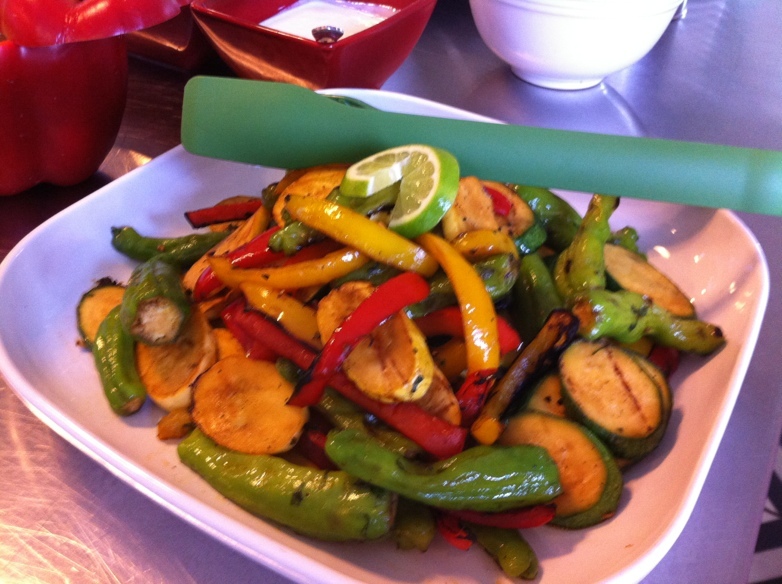 Below: Some lovely grilled vegetables – zucchini, yellow squash, and a variety of peppers (including the very trendy shishito peppers – the long green whole peppers). Below: Chef Alex Lopez, always in command. Below: We made tamales with a sauteed mushroom filling. 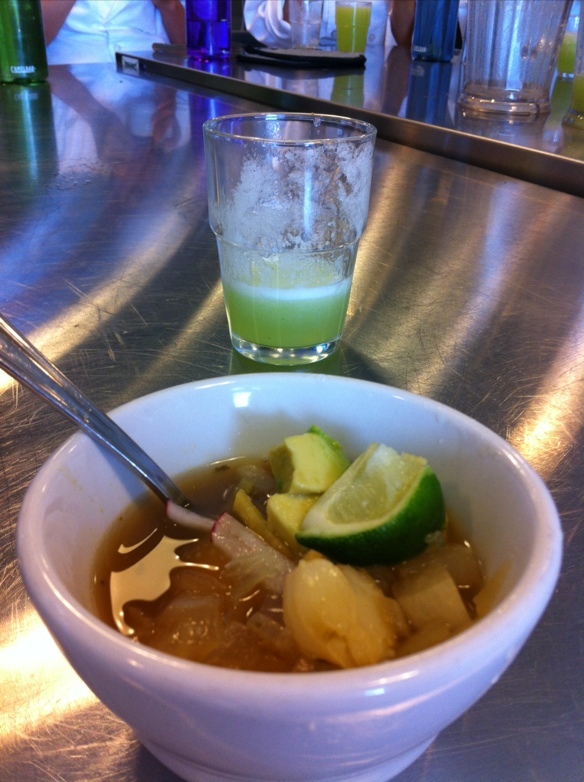 Below: Delicious posole soup with a melon-mint agua fresca. 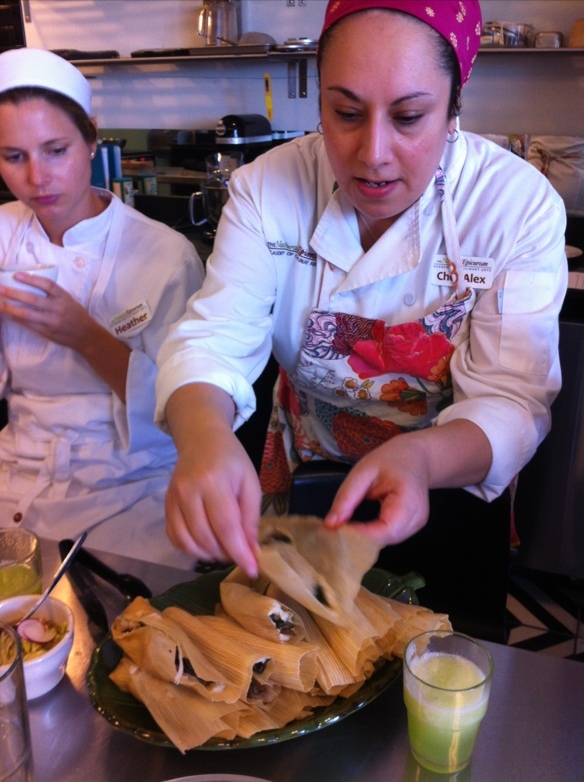 This entry was posted in The Natural Epicurean (Culinary School) and tagged alex lopez, Masa, Mexican cuisine, Pozole, the natural epicurean academy of culinary arts, tortilla by austinhealthychef. Bookmark the permalink.